Easy steps to start being more mindful. Mindfulness is not something that the French might call insolite. There is nothing contrary or confusing about it. It is not mysterious, unknowable, or indefinable. Neither is it demanding of itself or of you. So, rather than a Gallic shrug it is La Marseillaise — An anthem to freedom — A means of liberation. And refuge for the mind is Mindfulness. Paradox and ambiguity are unavoidable, but standing in their midst can be the most alive place to be. However, few would doubt that we live in a crazy, mixed-up world — And one that can be very terrifying too, as recent events around the globe continue to remind us. We are bombarded by multiple stimuli day-in, day-out, but neurosecience confirms that we are capable of processing only a fraction of what is before and around us at any one time. We have a multiverse of choice with change as a constant and prevailing force — Not always for good, but neither always for bad — However, according to Bill Gates the barrier to change is not too little caring, “It’s too much complexity”. And our continuing need to differentiate and name everything leads to even greater complexity. Human beings are storytellers and mapmakers because of a need for permanence — But what if I was to tell you that the map is not the territory and change can be neutral. It is as much how we approach it, the language we use to describe it and what we imagine will happen, before, during and afterwards, that frames how we’re going to experience it. Our language habit with its automatic judgements about what is good and what is bad, is a profound challenge and barrier to change, transition & transformation. Our reliance on language for orientation can also be experienced as both a prison and a constraint and we automatically turn every experience into a narrative, reducing it to shards that fragment even further in the telling and retelling. The cognitive linguist George Larkoff, believes that linguistic frames are so powerful they trump facts — Ever heard of fake news anyone? — And that “every word is defined in respect to frames”. So, can we Mindshift and rise above it? I was rather struck with a recent piece in Thrive Global that went by the title, ‘Debate Yourself and You’ll Make Better Decisions’. Emma Haak the author looked at research showing how inner dialogue can boost critical thinking and open the mind to different perspectives. 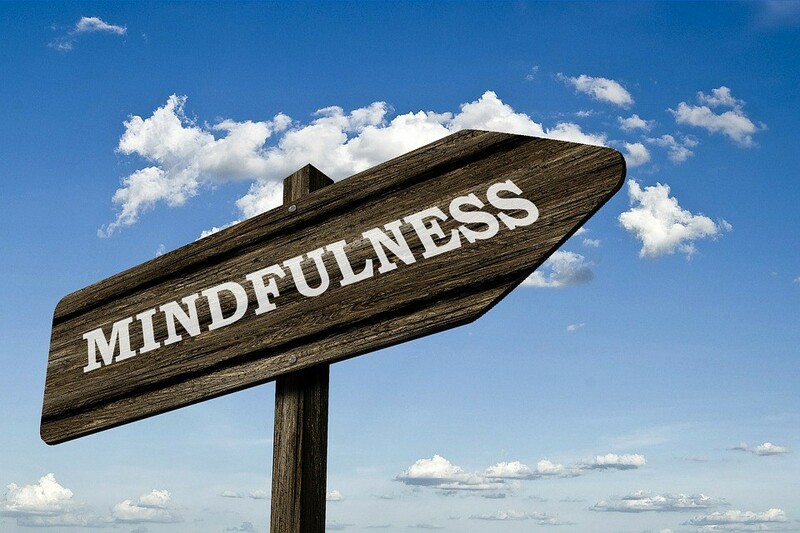 The practice of Mindfulness of course, can also provide clarity and focus, and enable better decision making; precisely because it allows us to let go of being judgemental, provides objective distance and reduces habitual and reactive behaviour. And it is so very important to loosen your grip on your own thoughts and opinions, or as Emma calls it, to be Intellectually Humble. 90% of problems can be attributed to what is called fixed, or solid thinking and as Albert Einstein famously said, “You can’t solve an existing problem with the same mindset that created it”. We live our life taking facts, experiences and events & assigning meaning to them. Then influenced by our thoughts with their intertwined emotions, we produce words and behaviours that are often negatively biased — And in turn this can stimulate more Negative Thoughts — Negative Opinions — Negative Choices — Negative Behaviours — But, “There is nothing either good or bad, but thinking makes it so”, William Shakespeare. In her book ‘The Mindful Child’, Susan Kaiser Greenland calls for a Mindful Revolution in Education. As laudable as that is, I think we need to go further and rather than ask ourself “What is our duty?”, we should instead ask ourself Socrates’s fundamental ethical question, “How should we live?”. The human race has some pretty big picture and complex challenges to face, geopolitically, environmentaly, economically and socially. Indeed, to begin to understand and tackle many of these requires not only a world-centric perspective, but also an ability to handle both complexity and paradox. Is our enthusiasm for the future on the wane? Certainly it feels that the fine insouiance of the mid-20th century is now forgotten. The happy days are behind us and it’s sackcloth and ashes, hairshirts and impending doom, an apocolypse just over the horizon. So many of us go about our daily business with grave expressions on our care worn faces and brows furrowed — And the perils among the choices are so numerous that we can hardly choose between them. Rather than preaching catastrophe and pessimism, we need the capacity for self-reflection, and the ability to develop a democratic and generous ecology that addresses specific problems in a practical way. To paraphrase E F Schumacher, “Any intelligent fool can make things more complex — It takes a touch of genius and a lot of courage to move in the opposite direction”. Pablo Picasso said, “An amateur borrows — A genius steals” — So, let’s all be Geniuses and steal back our future with a Mindful Revolution that provides us with a lens to deal with all the intangible as well as the tangible stuff and goes way beyond the class room and the workplace. And here are my 5 Steps towards that Revolution, because we’ve got to do more than simply rearrange the deck chairs on the Titanic, n’est pas? The Windmills Of Your Mind. Or, Mindfulness By Another Name!